London has quite a few art societies - but oddly enough, given the population, there are not as many as you might think! This art society has a website which in many ways is a model for other art societies - however it lacks an exhibitions page. Founded: 1910 - the oldest and sole survivor of the many art groups in the area in early 20th century. Management: Council - names and faces - on website. President has a blog. no residential qualifications for members or exhibitors. London's largest life drawing society meets at the Mall Galleries at least once a week (usually either Mondays or Fridays. Members can work from one or more of four models providing different poses.
. You need to become a member. There are about 150 members and last time I asked there was a waiting list for membership. 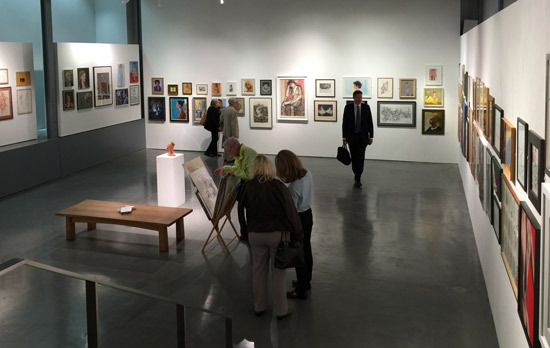 Exhibitions: annual exhibition at Mall Galleries - however the exhibition is not focused on life drawing! Monthly "Let's Draw somewhere in London". 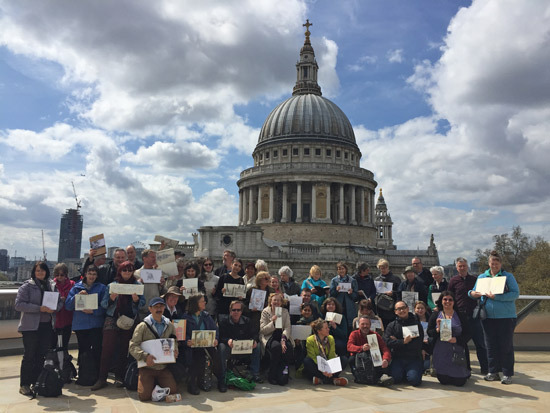 You can see past and planned sketchcrawls on the USK London Sketchcrawls page on the blog. Founded: Founded in Spring 1941 - as an antidote to the war! Purpose: run by its members for artists living in and around Islington. Purpose: "We aim to enhance the reputation of a society which is at once historic and expanding." Purpose: The aim is to bring together local painters and sculptors, art teachers and students, and all who share an appreciation of the fine arts. Membership: Mostly amateur artists working in a variety of media. Not limited to those living in Bromley. a series of Open Air one day exhibitions during the Summer. Groups: Several different art groups on different days - tutored and untutored. The society, through its lecture programmes and exhibitions, brings together those living in the neighbourhood of in Richmond upon Thames who are interested in the visual arts. It also provides opportunities for local artists and others who are interested in art to meet socially. Membership: professional and semi-professional artists, amateur artists and art lovers. You don't have to be a practising artist. Note: the website is extremely slow. nurtures the professional development and careers of its members by helping them access wider opportunities. is self-managed and self-financed, so it maintains critical independence.